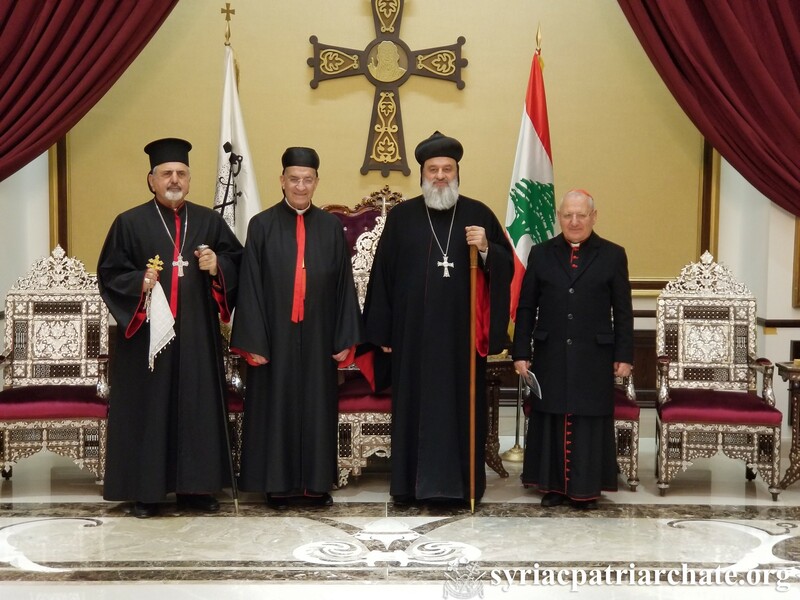 On January 22, 2019, His Holiness Patriarch Mor Ignatius Aphrem II received Their Beatitudes: Cardinal Mar Bechara Boutros Al-Rai, Patriarch of Antioch and All the East for the Maronite Church, and Mor Ignatius Youssef III Younan, Syriac Catholic Patriarch of Antioch, and His Excellency Mgr. Joseph Spiteri, Apostolic Nuncio in Lebanon, at the Patriarchal Residence in Atchaneh, Lebanon. 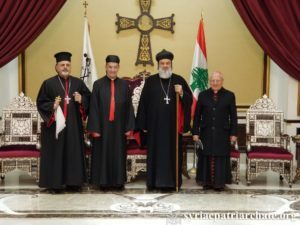 His Beatitude Cardinal Mar Louis Raphael Sako, Patriarch of Babylon for Chaldeans, was also present.